This house located on Industrial Road in Corrigan was leveled by fire. There are suspicions after witnesses saw a vehicle on the property before the fire. Corrigan Family Loses Everything in Housefire, CORRIGAN, May 16, 2013 - A house fire was reported yesterday (May 15, 2013) at approximately 9:45 am. 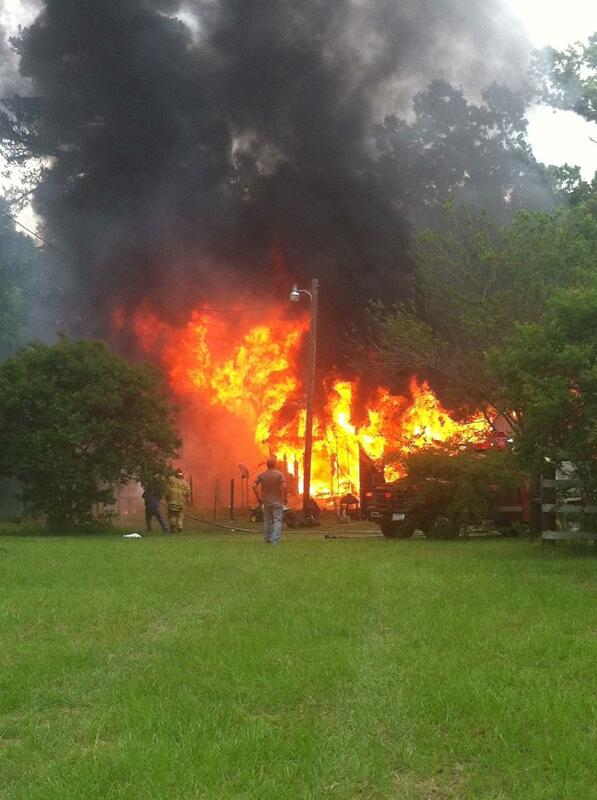 The Corrigan Volunteer Fire Department arrived to find a house located on Industrial road engulfed in flames. The home was owned by David Armstrong. Deputy Dustin Lowery with the Polk County Sheriff's Office was also dispatched to investigate. Armstrong has three small boys. Everything in the home was destroyed. Witnesses reported seeing a vehicle on the property before the fire started. The revelation of the vehicle makes the circumstances surrounding the fire suspicious. The fire is reportedly under investigation by state authorities. Donations to help: David Armstrong wears 34x30 pants. His shoe size is 9.5. His boys: 5T, 5 regular, and 7 regular. Their shoe sizes: 7 little boys, 12 little boys, 2 boys. Call the Corrigan Housing Authority for donations at 936-398-5351. They lost everything. Any donations will be greatly appreciated. Special thank you: Johnna Lowe for the pictures. Children's toys are scattered in the foreground of their devastated home.